This year, The Mill’s London studio was given the opportunity to direct and produce two films for the 85th International Geneva Motor Show. Historically Europe’s most prestigious automotive showcase, the Mill+ team were thrilled to be involved in films for both McLaren and Lexus, in order to showcase their latest car models. 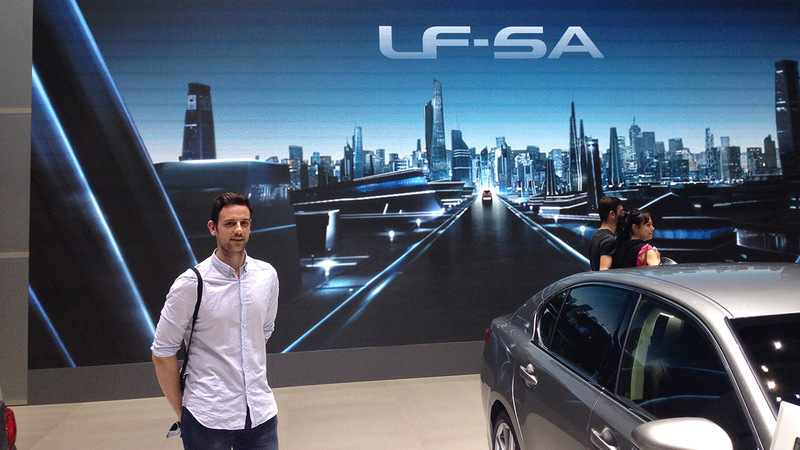 This prompted a visit by producer Jarrad Vladich and director Aidan Gibbons to Geneva so they could see the work on display, and absorb the new tech for the world’s biggest car brands. “The show as a whole is an enormous spectacle and an utter feast for the eyes for even the most shy automotive fans. 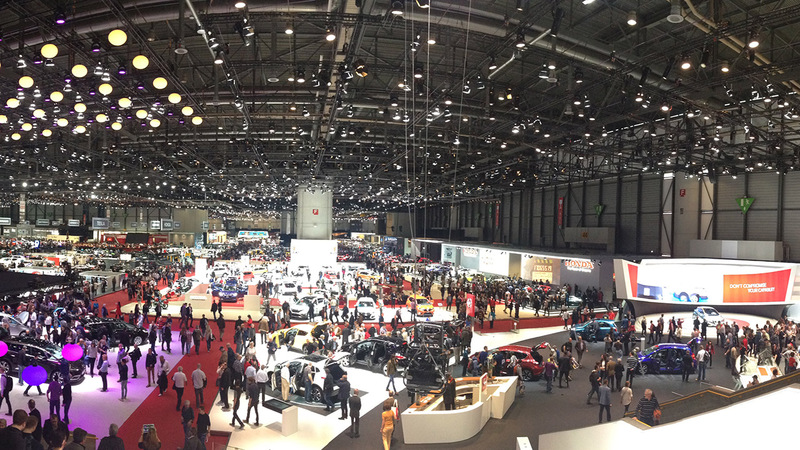 A lot of the brands let their cars do the talking (Lamborghini, Ferrari, McLaren) but there were a select few who took their display to another level, offering more immersive and entertaining experiences beyond the shining vehicles. The stand out displays for me, were Nissan, Audi, Lexus and Hyundai, based on floor plan design, attraction variation and pure engagement. Nissan’s ‘Sway’ concept car was displayed on the most impressive stage of all – and its enormous curved LED screen wrapped around the rotating concept car while running its accompanying film which seem to be custom directed to fit the uniquely shaped LED screen. Very cool! Nissan (along with Ford) arguably had the most entertaining area for the pundits. 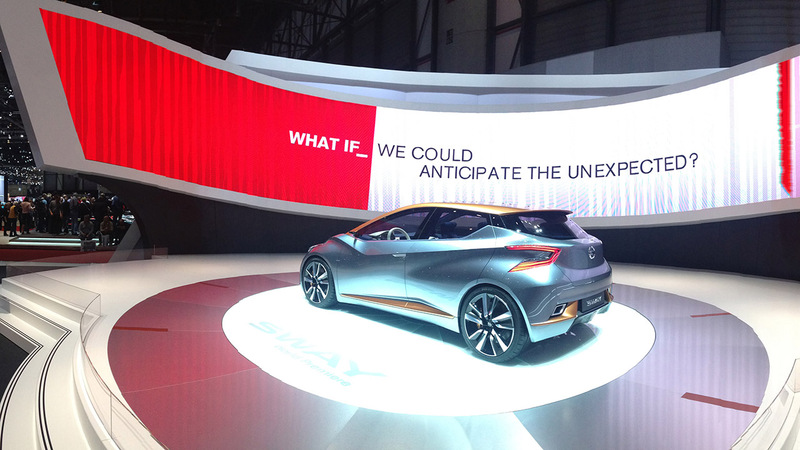 Interactive elements like animated LED flooring, augmented reality touch screens to customize car designs and personalized football scoring game called the ‘Excitement Machine’ really kept the crowds hovering in the Nissan space. Smart tactics one might say. 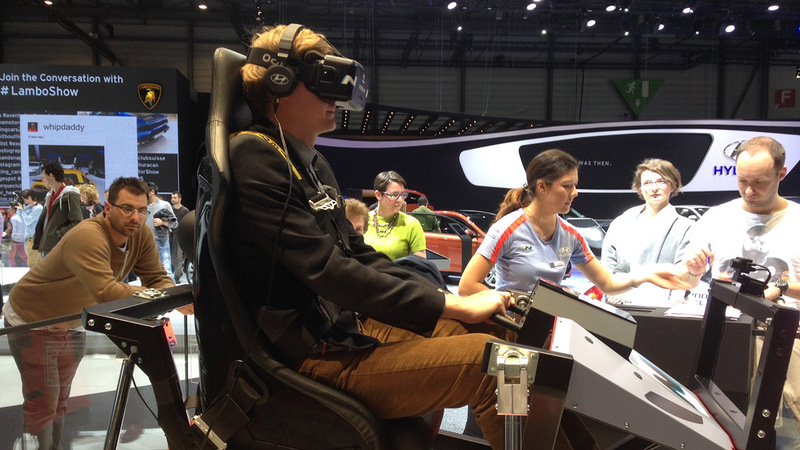 With the recent increase in Virtual & Augmented Reality applications, especially in the automotive industry – it was no surprise to see this technology applied liberally at the show. Lexus, Hyundai, Ford and Toyota all had simulator machines for either the driving or passenger experience. This drew large crowds across the board and I imagine this attraction becoming more frequent in the years to come. The success of these applications varied, but Hyundai’s passenger POV driving through an off-road rally course was the stand out for me. No signs of any nausea either. in addition to entertainment it was encouraging to see hybrid/electric vehicles and technology as common themes throughout the show - the awareness of brands to flex their green muscles was very obvious. 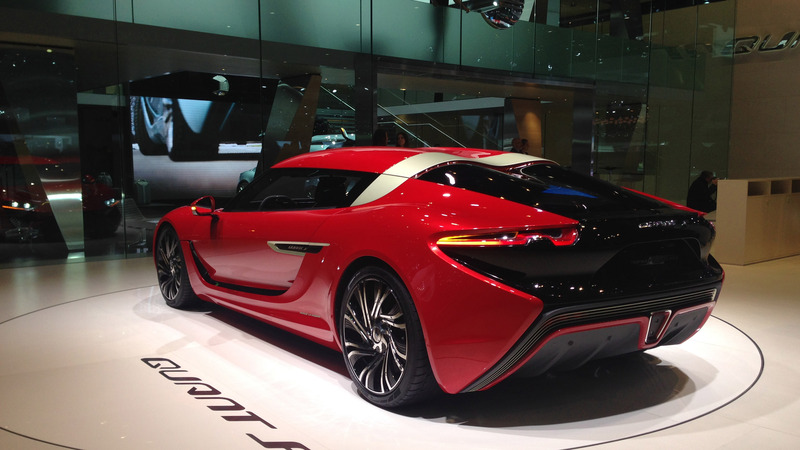 New Swiss car brand Quant showcased an incredible display of futuristic cars fuelled by Nano Flow Cell Technology, something to watch out for. 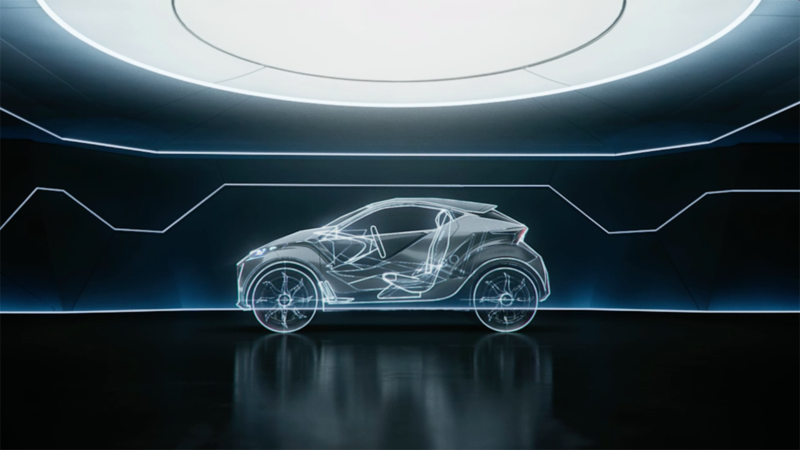 Working in collaboration with CHI, The Mill+ team, led by Aidan Gibbons, created a 100% CG model to advertise Lexus' brand new concept car, the LFSA at the renowned Motorshow. Aidan comments, "It was key on this project to immediately start creating concept work, these concept designs were crucial in leading us towards the final goal. There's a real connection between the car and its environment. Every design aspect was deeply considered, such as the shape of the tunnel, which is same as the front grille of the car. When we shot our actor on set, we used a car of similar size to the LFSA, then using CAD data supplied by Lexus, we began visualising the car and re-building it in CG. The project utilized Maya, Arnold and 3D equalizer, then was masterfully composited in both Flame and Nuke together, before adding the grade in Baselight."